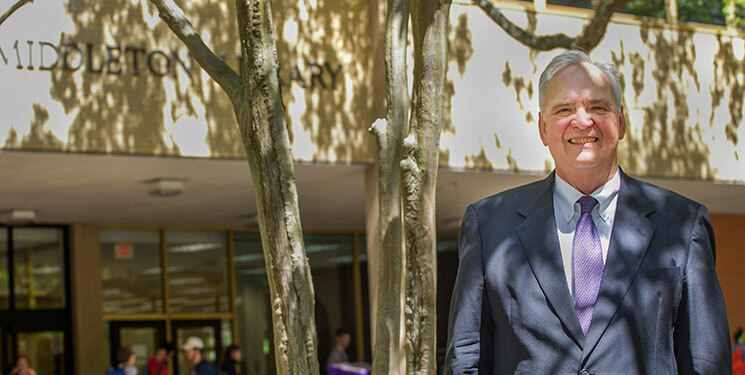 The retired Baton Rouge attorney has long been associated with LSU, and his mother, Rosalind Beene McKenzie, was an early member of Friends of LSU Libraries. This philanthropic volunteer group was created in 1962 to assist LSU Libraries in developing the Libraries’ resources. In 1966, the Friends reevaluated their activities after realizing that, to truly drive LSU Libraries toward continued academic excellence, they needed to seek substantial assistance from private sources. They began raising money to fund a library endowment, intended to serve as the major resource for the LSU Libraries to obtain those items difficult to acquire within its regular budget. The LSU Book Bazaar began as a small annual book sale in 1975, and has since become the Friends’ signature event. Funds raised have enabled the Friends to donate more than $2 million to support LSU Libraries over the years. The Friends’ contributions are recognized by their inclusion in the LSU Foundation’s Laureate Society—appropriately, as a Troy H. Middleton Laureate. Continuing in his mother’s footsteps, Shelby is an active member of the group, previously serving as its president, and has volunteered to help Wilder with its reorganization.